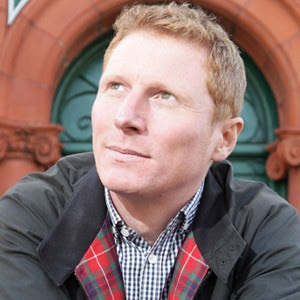 Last November (2016) when Craig Gill, the drummer for the Inspiral Carpets died, there was no word on the cause of his death at just 44. The results of a new inquest and a statement from the drummer's wife, Rose Marie Gill, has shed a light on what happened on November 20, 2016. Rose Marie has said that she came home with their children after a day out to find Craig dead at his own hand. Nothing about the suicide initially made sense as Craig was said to be happy with no sign of depression or suicidal thoughts. She told the coroner "I have no idea where this has come from." It was only later that she came to realize that it was tinnitus, a ringing in the ears that Craig had suffered from for at least two decades, that drove him to take his own life. Instead of reaching out, on that day in November, Craig made the saddest and most tragic of decisions. For the past 20 years, Craig suffered from debilitating tinnitus, a condition caused by not protecting his hearing when enjoying the careers he loved the most – a successful musician, DJ and love of listening to music. His condition affected his day-to-day wellbeing and he suffered in silence with both sleep deprivation and anxiety. Although we struggle with the day-to-day existence of life without Craig, we are now able to discuss and promote awareness of tinnitus and men’s mental health. It takes courage for men to speak out, to talk to one another, to share their thoughts and their fears. If you are one of those men, like Craig, we urge you to reach out to those you love and find comfort in sharing your pain. In the end, the coroner was not able to fully commit to Craig's death being a suicide, saying that, although it was obvious he was responsible for taking his own life, she could not be sure, based on the lawful definition of suicide, that he had truly intended to kill himself. The Inspiral Carpets were one of Manchester’s most respected bands around the time of Joy Division, New Order and the Happy Mondays. After the band broke up in 1995 Gill ran a record stall at Manchester’s indoor market. He was also a DJ in a local Manchester Club. The band reformed in 2003. Gill remained the band’s drummer until his death. Yes I suffer from this too. It deeply affects your Life, the constant buzzing. Sorry to here he chose this way to solve the problem. If you have it please seek help. R.I.P. my friend!